This is a UNO Online Quiz. The League of Nations was formed at the end of World War in 1919 for maintaining world peace. But League of Nations was failed in preventing World War II. 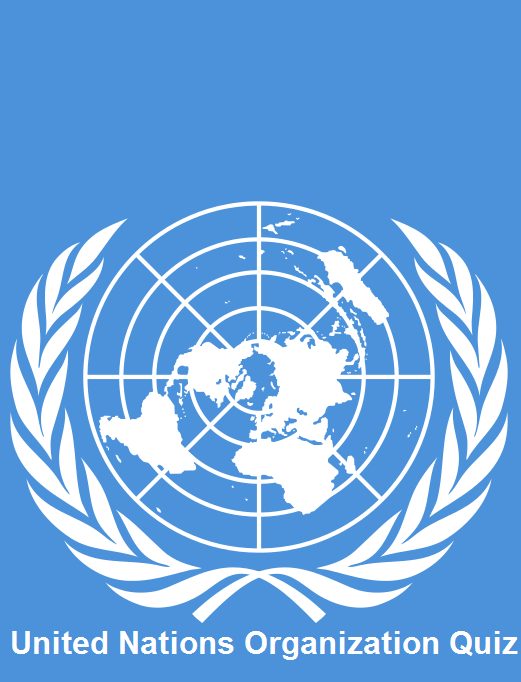 After World War 2, United Nations Organization was founded on October 24, 1945 which replaced the League of Nations. United Nations Organization has also fifteen agencies and several programs and bodies to carry out its mission world wide.This quiz is related to United Nations Organization Click on “start Quiz” to start this online test. This Quiz is related United Nations Organization. Which of the following countries is not a permanent member of the S.C.
To which country did the first Secretary General of the UN Belongs?? How many nations signed the UN charter, when the organization was established? What is the H.Q of the Amnesty international ? The H.Q. of IMF is at ? How many official Languages was in UNO? When was people’s Republic of china admitted to the UNO?